Your roof is one of the major factors that contribute to the security of your home. When you have a roof that needs repair, your entire home is at risk. Before you begin the process of looking for a roofer, it’s important to consider the most important factors. At Intelligent Design, we specialize in roofing, and we want to make sure you know what factors affect whether or not your new roof will protect your home. Everyone knows that choosing a roofing contractor with experience is important. However, what’s not widely known is the fact that every contractor can’t do every type of roof. 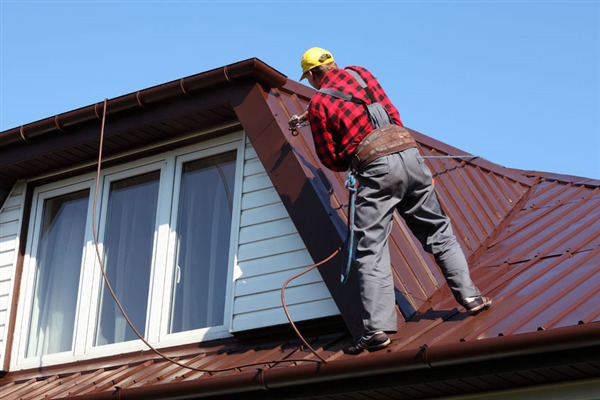 There are multiple types of roofing materials within the industry. You can choose to have a traditional shingle roof, metal roof, tile roof, slate roof, etc. Before you choose a roofing company, you have to know whether they specialize in the roofing material you prefer on your house. With so many people interested in energy conservation, it’s likely that only a few companies are capable of doing the job. At Intelligent Design, our specialty is roofing, which means we can install many different types of roofing materials. There are many businesses these days that don’t have a dedicated crew. These businesses hire contractors to complete the work you hire them to do. By doing that, it’s possible that the contracting company will fail to deliver the product you want. To avoid this problem, hire a roofing contractor who doesn’t outsource their work to another contractor. When you work with one company, you decrease the chances of your roofing project failing. As in your industry, information and technology are constantly changing in the roofing company. As a result, contractors and businesses should take additional courses and certifications to remain effective. To ensure you are getting the best in the industry, it’s imperative that you contract with a company who is forward-thinking and always taking educational classes or training to better their approach to roofing. At Intelligent Design, we are an industry leader. We work hard to ensure our crew is employing the latest in industry best practices. Don’t let your leaky roof jeopardize the security of your home. Instead, call us to get an estimate for fixing your roof.